Tim Culpepper joined Robinson Development Group from Bank of America, where he was vice president and client manager for commercial real estate customers in the Hampton Roads and Richmond markets. While at Robinson Development, Tim has been responsible for the acquisition of over 3 million square feet of office and office/warehouse product in markets from Richmond, VA through Charlotte, NC. Tim has also led the acquisition and development of over 2,500 residential lots/units in markets from Charlottesville, VA to Raleigh, NC. Tim is currently active with the Southeast Virginia Community Foundation where he served as President of the Board from 2014-2018, and remains on the Executive Committee. Tim has served on a number of other local industry and non-profit boards, including the Old Dominion University Real Estate Foundation where he served on the Audit Committee. 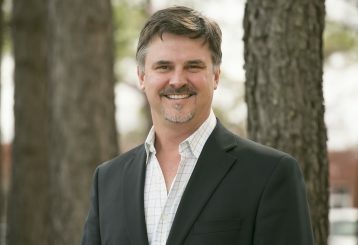 Tim has also served on the board of Tidewater Builders Association, where he was on the Executive Committee, the Chesapeake Regional Health Foundation, and HRACRE. In 2003, Tim was selected as the Martin Luther King, Jr. Young Business Leader of the Year in Chesapeake and participated in the Leadership Hampton Roads program in 2002-2003.